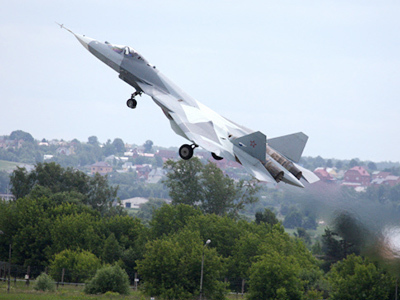 State-of-the-art missiles for Russia’s first 5th generation fighter jet are undergoing final tests to ensure that when the T-50 is deployed in 2014 its advanced weaponry will be ready to make it invincible in the skies. ­The Tactical Missile Munitions Company presented several missiles designed specially for the T-50 (PAK FA), among them a truly unequalled 200-kilometer-range interceptor missile that would enable the Russian fighter jet to take down any enemy aircraft without even entering its casualty area, so it looks as if dogfights will be consigned to history. No other country can boast anything similar, and the unparalleled weapons are scheduled to go into production as early as 2012. The company also presented new modifications of an anti-ship missile with a range extended to 150 kilometers and an anti-radar missile with an extended 250 kilometer range. The X-31AD anti-ship missile flies at 800 meters per second which makes it a challenging target to intercept. 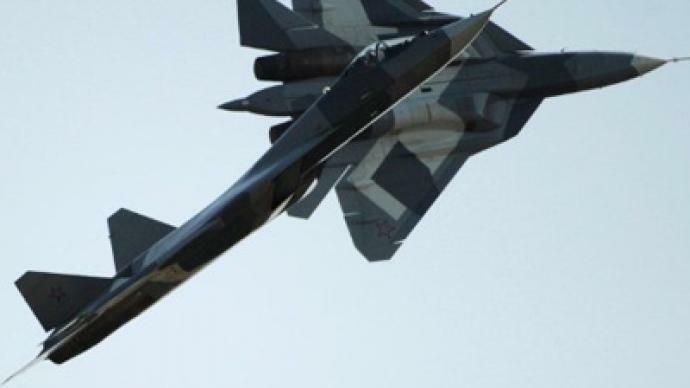 ­The MAKS 2011 air show in Moscow has brought its first commercial results as several big civil and military aviation contracts were signed in the presence of the Russian PM Vladimir Putin on Wednesday. 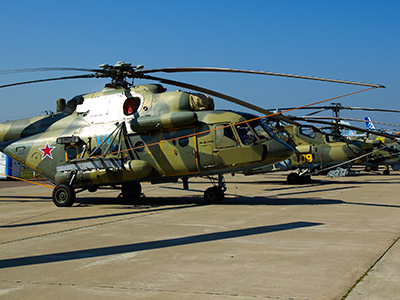 Strategic partnership deals between Russia’s leading aviation industry companies and their foreign counterparts like Boeing have been signed while various Russian airlines inked deals to buy or lease 79 MI-171 / MI-8AMT helicopters, 24 Sukhoi Superjet liners. 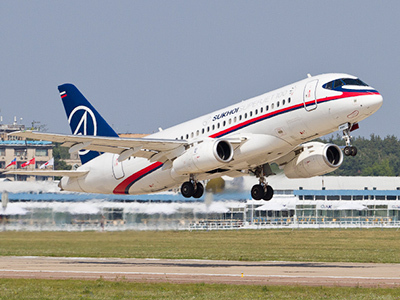 The biggest deal signed is a US$ 2.2 billion contract with Irkut Corporation buying 28 future Ilyushin MC-21 airliners with an option to buy 22 more. The Russian PM promised to organize an air industry cluster in the city of Zhukovsky near Moscow that would eventually become the national aviation industry innovation core uniting scientific research institutes, design bureaus and production lines in a single “powerful intellectual technological center”. Putin promised that by the next MAKS 2013 the headquarters of Russia’s United Aircraft Corporation would be transferred to this center together with other aviation industry institutions. 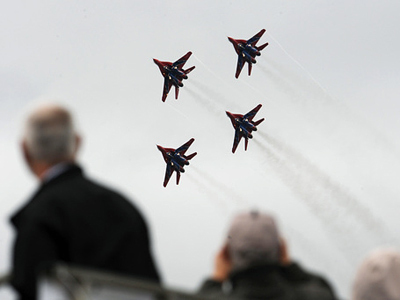 On Wednesday the air show was attended by over 20,000 specialists, scientists, businessmen and state officials. Security is being provided by some 1,800 law enforcement officers. 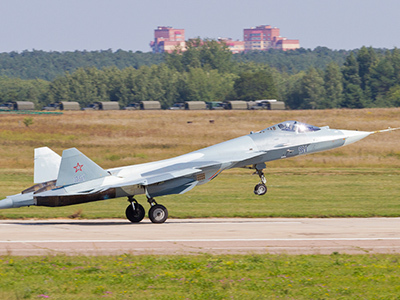 On Wednesday the first performance flights kicked off, and among those stealing the limelight was the latest Russian 5th generation stealth fighter, the T50, which made its public debuted.